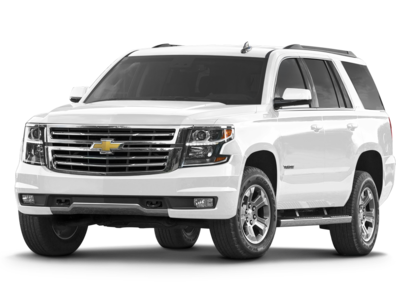 Ranked at the bottom of the pack, the 2015 Chevrolet Tahoe finishes in tenth place for Best AWD Full Size Cars. The 2015 Tahoe achieves a combined MPG figure of 18. The Tahoe received an overall safety rating of 4 of 5 stars from the National Highway Traffic Safety Administration. Scroll down to see available inventory for 2015 Tahoes in your area. Coming in at number 9 in our list of Best AWD Full Size Cars is the 2014 Ford Flex. The 2014 Flex achieves a combined MPG figure of 19. This model earns the highest possible safety rating - 5 out of 5 stars. This score is achieved by aggregating available industry crash test data from NHTSA and IIHS. Scroll down to see what's available in your area right now. Coming in at number 8 in our list of Best AWD Full Size Cars is the 2014 Lincoln MKT. Fuel economy is rated at 18 MPG combined. The MKT received an overall safety rating of 5 of 5 stars from the National Highway Traffic Safety Administration. Scroll down to see what inventory is available in your area - hurry, before these great deals sell out! 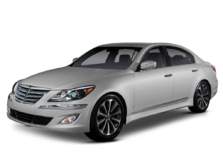 The 2015 Hyundai Genesis is number 7 in our list for Best AWD Full Size Cars. The 2015 Genesis achieves a combined MPG figure of 19. This model earns the highest possible safety rating - 5 out of 5 stars. This score is achieved by aggregating available industry crash test data from NHTSA and IIHS. Scroll down to see available inventory for 2015 Genesis in your area. 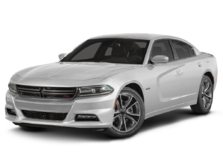 Coming in at number 6 in our list of Best AWD Full Size Cars is the 2014 Dodge Charger. Fuel economy is rated at 19 MPG combined. This model earns the highest possible safety rating - 5 out of 5 stars. This score is achieved by aggregating available industry crash test data from NHTSA and IIHS. Scroll down to see what's available in your area right now. 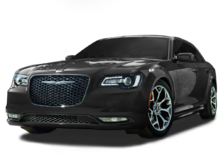 Slotting in at fifth for Best AWD Full Size Cars is the 2014 Chrysler 300. Fuel economy is rated at 20 MPG combined. 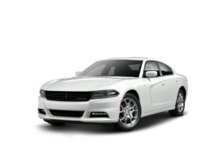 The 300 received an overall safety rating of 5 of 5 stars from the National Highway Traffic Safety Administration. Scroll down to see what inventory is available in your area - hurry, before these great deals sell out! The 2015 Ford Taurus ranks fourth for Best AWD Full Size Cars. Fuel economy is rated at 20 MPG combined. This model earns the highest possible safety rating - 5 out of 5 stars. This score is achieved by aggregating available industry crash test data from NHTSA and IIHS. Scroll down to see what inventory is available in your area - hurry, before these great deals sell out! Slotting in at third for Best AWD Full Size Cars is the 2017 Cadillac XTS. Fuel economy is rated at 19 MPG combined. This model earns the highest possible safety rating - 5 out of 5 stars. This score is achieved by aggregating available industry crash test data from NHTSA and IIHS. Scroll down to see what inventory is available in your area - hurry, before these great deals sell out! Slotting in at second for Best AWD Full Size Cars is the 2014 INFINITI QX60. The 2014 QX60 achieves a combined MPG figure of 21. The QX60 received an overall safety rating of 5 of 5 stars from the National Highway Traffic Safety Administration. Scroll down to see what inventory is available in your area - hurry, before these great deals sell out! Coming in at number 1 in our list of Best AWD Full Size Cars is the 2014 Lincoln MKS. Fuel economy is rated at 21 MPG combined. The MKS received an overall safety rating of 5 of 5 stars from the National Highway Traffic Safety Administration. Scroll down to see what inventory is available in your area - hurry, before these great deals sell out!